Fees associated with Tajikistani PCT national phase entry as well as other patent fees are available in the fee calculator. 30 months from the priority date according to Chapter I (under PCT Article 22(1)) and 31 months from the priority date according to Chapter II (under PCT Article 39(1)(b)). 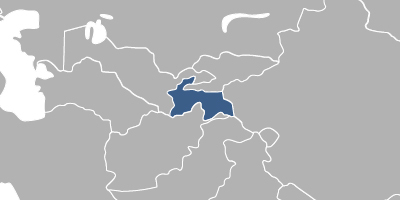 The official language of proceedings in Tajikistan is Tajik or Russian. If the application materials are provided in any other language, the translation into Tajik or Russian should be provided within three months from the date of entry into the national phase of Tajikistan. No notarization or legalization is required. A simply signed Power of Attorney is required in case the applicant is a natural person, while for legal entities it should be signed and stamped. The PoA should be provided to the Patent Office within 2 months from the date of entry into the national phase of Tajikistan. The substantive examination has to be requested within three years from the international filing date. The applicant may amend or correct the application before the decision to grant a patent is issued. The application may be amended without any official charges within three months from entering the PCT application in Tajikistan. Official fees should be paid within 2 months from the date of receipt of the decision to grant a patent. The first post-grant annuities starting from the 3rd year must be paid within said term as well. All subsequent annuities are counted starting from the date of national phase entry and are paid before the beginning of the next year. Foreigners should perform entering the Tajik national phase of a PCT application through an agent, a registered Tajik patent attorney. 2. PCT application in Tajikistan may also be nationalised via entering the Eurasian national phase. 3. A petty patent may be applied for by means of entering the Tajik national phase of a PCT application.